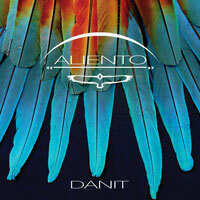 Danit's exquisite voice and songs of celebration and love for the spirit of the natural world and the for heart of life light up this beautiful music. From the moment we first heard this album, we knew these songs were going to be a regular on Movement Medicine dance floors, and so they are. This music is music medicine of fragrant beauty, gentleness and depth.